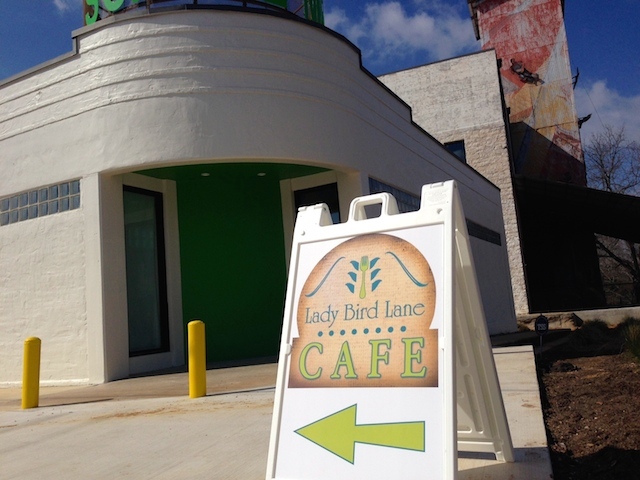 (map) This cute cafe just opened in the new, interactive Hill Country Science Mill. And while building your own race car, controlling an armadillo robot and creating explosions can work up an appetite, the good news is you can visit the cafe from either inside or outside the museum. 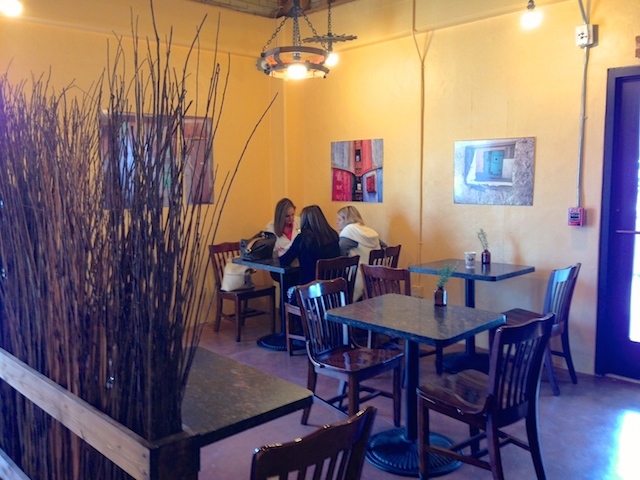 The menu offers fresh salads, sandwiches and flatbreads, made from scratch with an emphasis on local and organic. 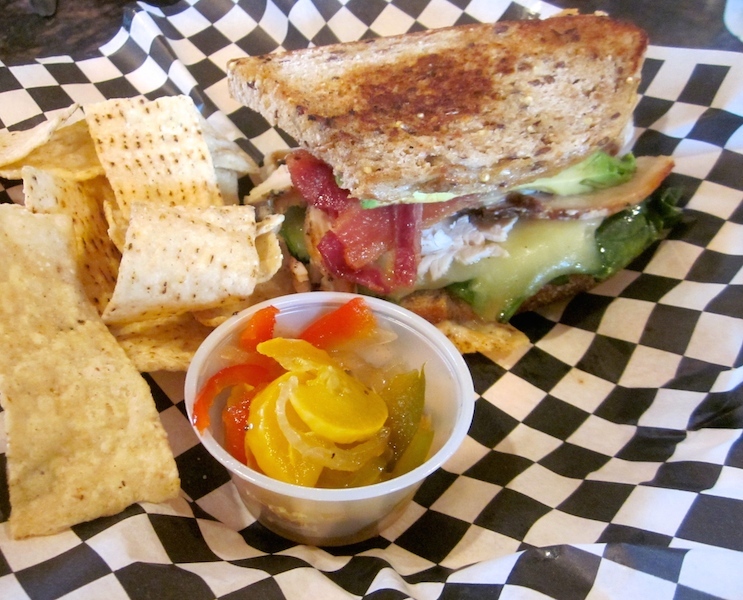 Above, the grilled turkey and cheese, made with turkey breast roasted in-house, aged white cheddar, avocado and bacon. Pickles on the side are made in-house, too. 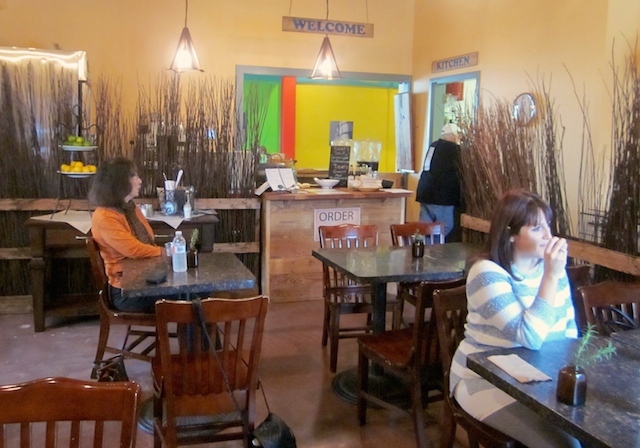 You order at the counter either inside or outside the museum, then they’ll bring you your food. There’s an outside patio when the weather is nice. Above, one of the grilled flatbreads, this one topped with rosemary ham, grilled red onion, mozzarella cheese and a pile of fresh arugula. 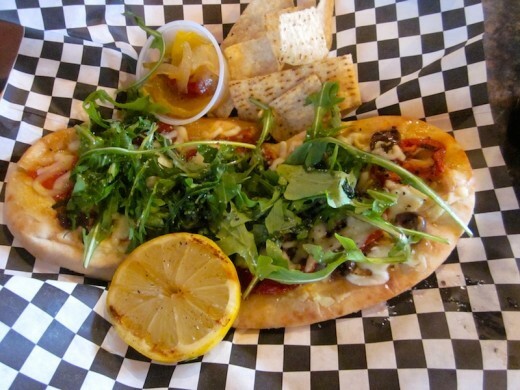 You squeeze the grilled lemon over the greens. Soups and desserts change daily. 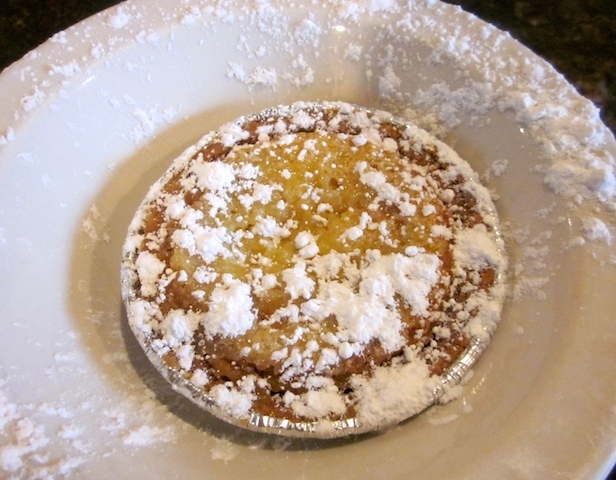 Below, a mini buttermilk pie. 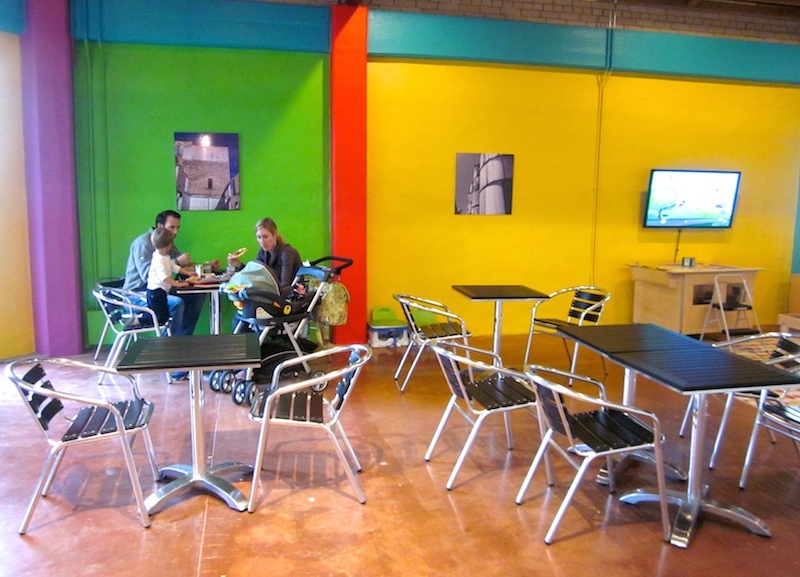 There’s a big dining room if you happen to be exploring the Science Mill and feel like taking a break from all the fun.